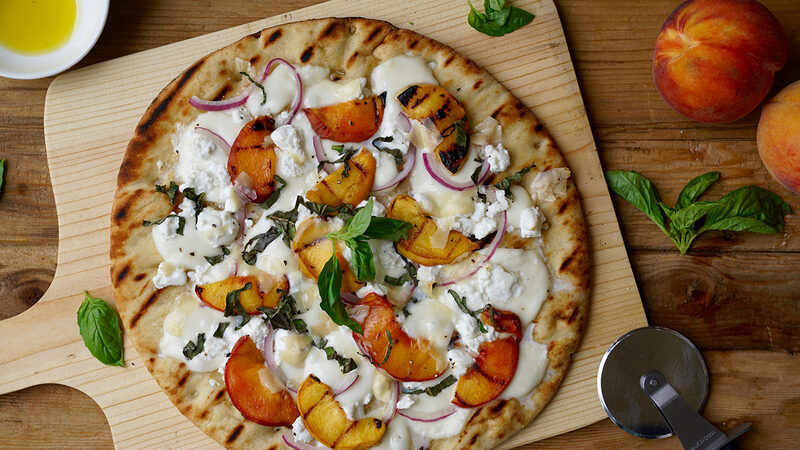 Made with the finest ingredients, Stonefire® Artisan Pizza Crust is a delicious base for a 3 Cheese Grilled Peach Pizza. 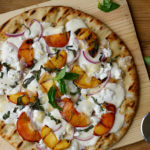 This dinner idea combines the rich authentic flavors of our artisan pizza dough recipe with grilled peaches, buffalo mozzarella and crumbled goat cheese. This easy flatbread recipe can be made using either an indoor or outdoor grill making it a go to any time of year! Remove from grill, cut, and serve warm.